An international multicultural and diverse business sector businessman, with more than twenty-seven years of experience in the information technology sector, out of which twenty years in upper management roles, which have shaped his career. 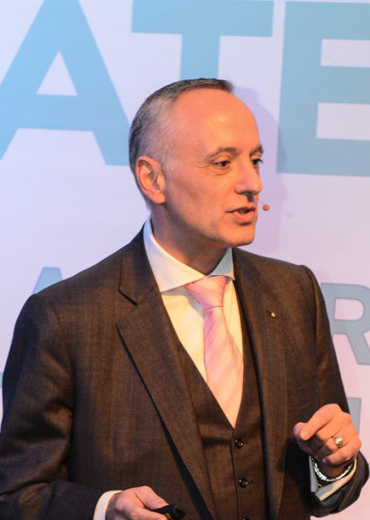 In his current role is responsible for overseeing the strategic alignment between business and technology, innovation, digitalization and airport innovation. He oversees all technology used, and the Airport team has been awarded over fourteen distinctions for innovations, in a period of 3 years. Additionally George has an extensive background in the financial sector having driven and accomplished complex business programs, such as the introduction of new operational platforms in more than ten banks. An accomplished team leader, risk manager, systems integrator and IT strategist, has attended the University of Roehampton, obtaining a master’s degree in Information Systems Management and is a member of the CIO Forum & the Hellenic Management Association.